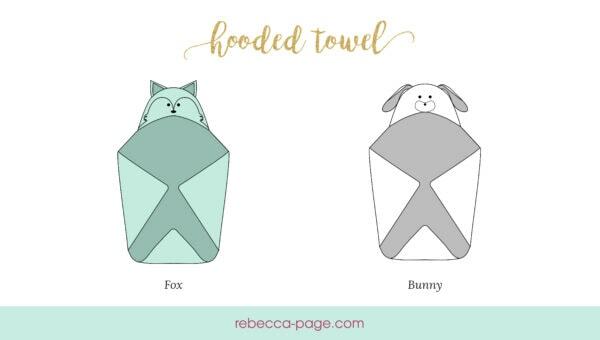 The Free Hooded Towels Tutorial shows you how to make both a bunny and fox hooded towel–perfect for Easter and also for gift giving! When my son started growing out of his store bought hooded towels I decided to try my hand at making him some versions with regular sized towels and I was really happy with how they turned out. Now that my daughter is getting older, it’s time to start making some for her. They are easy to make and super warm and cosy when finished! This free hooded towels tutorial includes both full step-by-step instructions, as well as the pattern pieces you’ll need. Fabrics – See the fabric requirements in gallery. This would make such a cute baby shower gift. 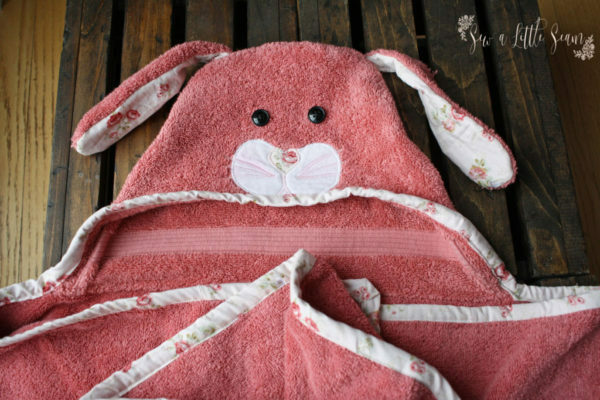 My mom made a similar pattern for a hooded towel as shower gifts growing up but I love the bunny face! It is so cute. So adorable! Excited to make these for the grandchildren. Tag your photos with #rphoodedtowel on Instagram.